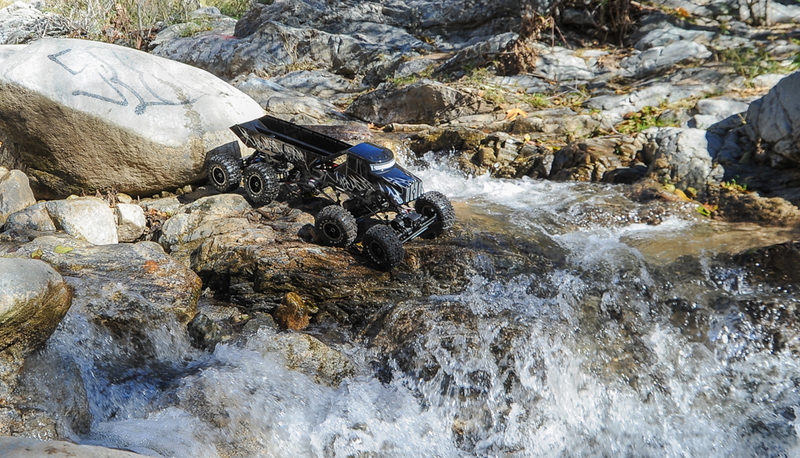 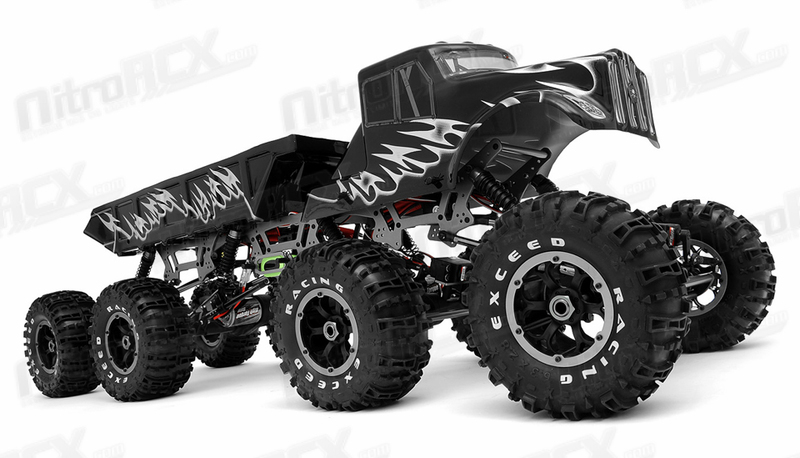 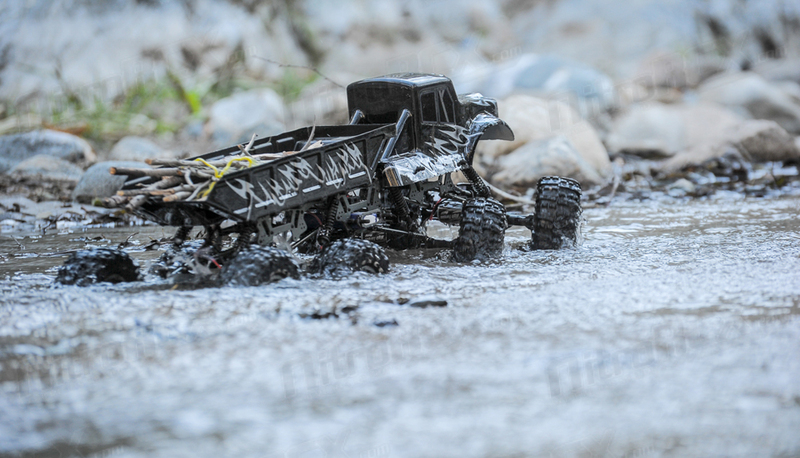 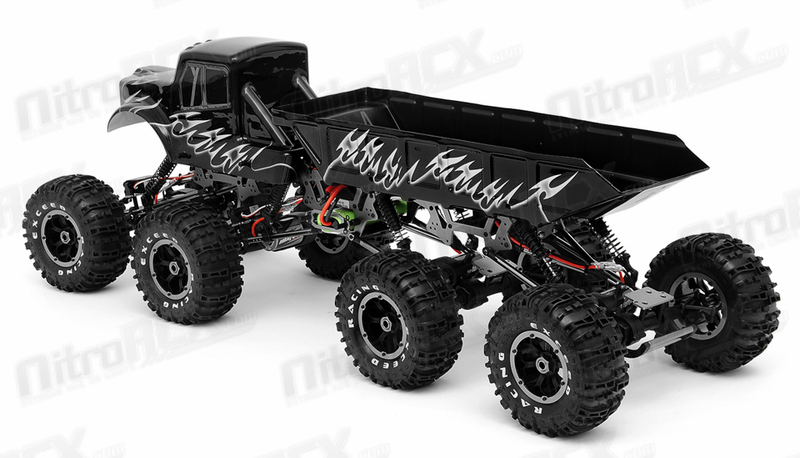 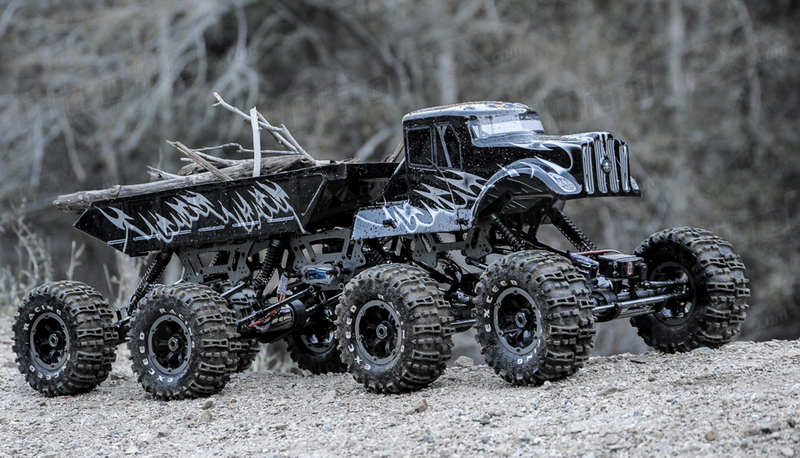 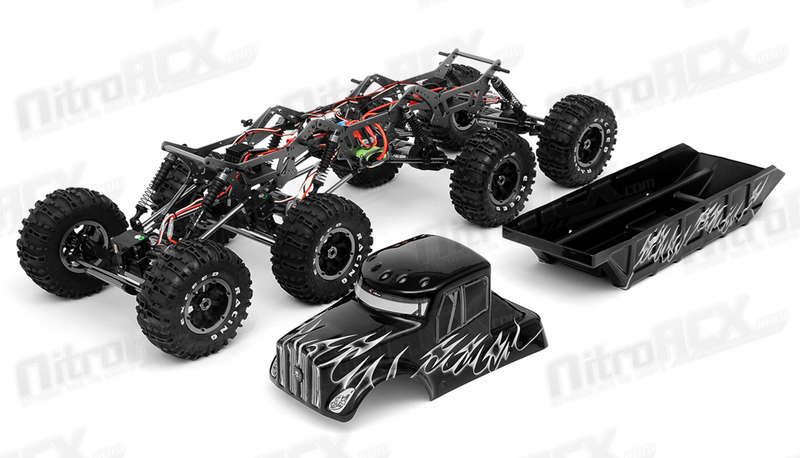 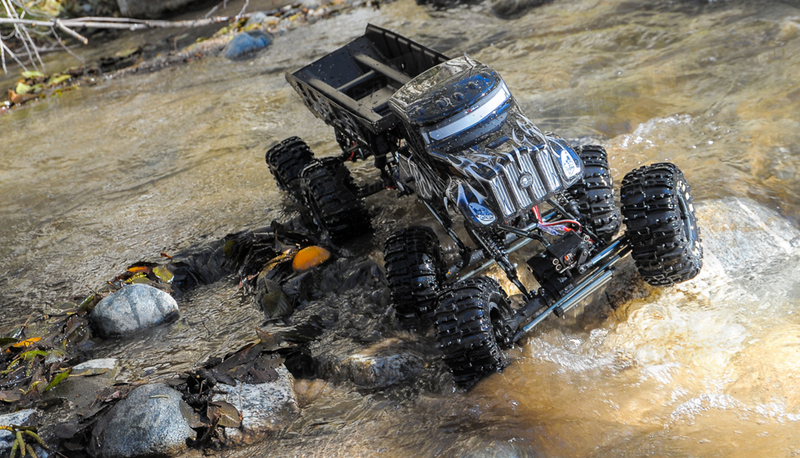 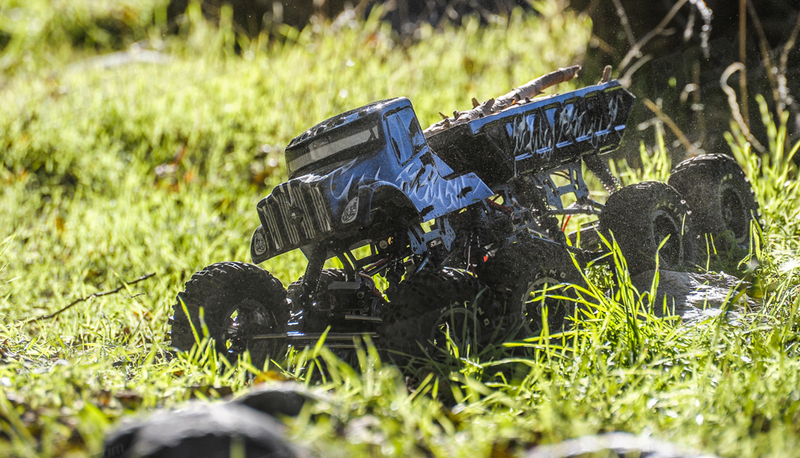 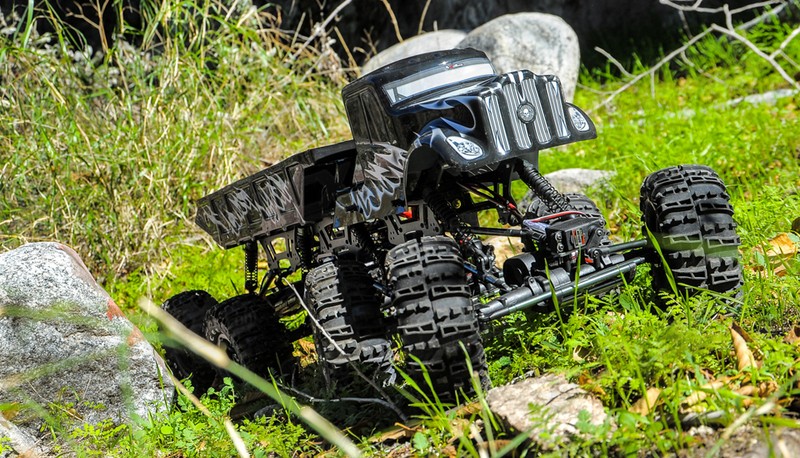 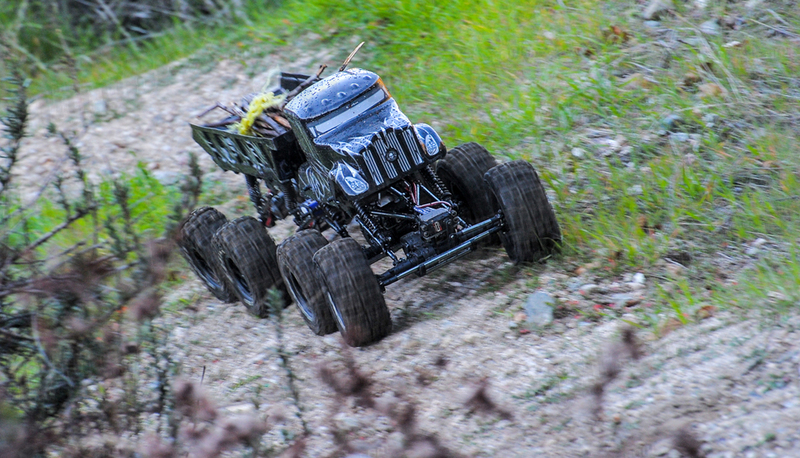 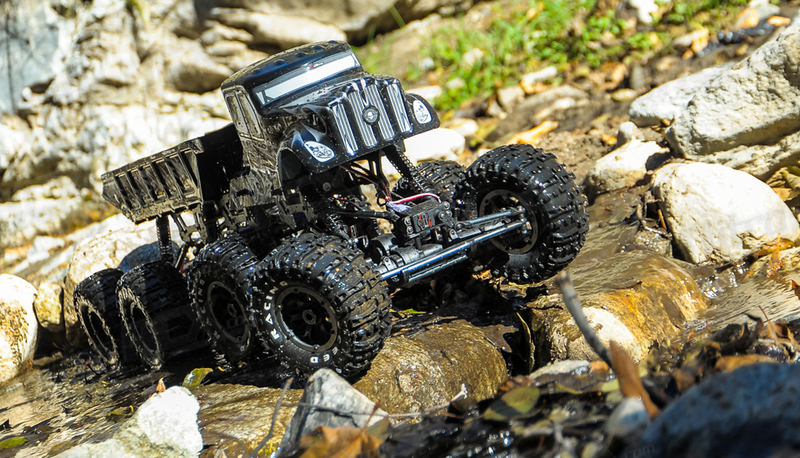 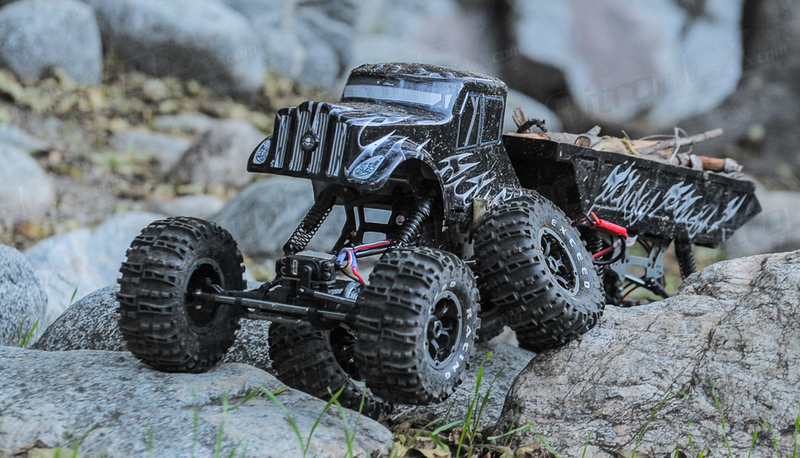 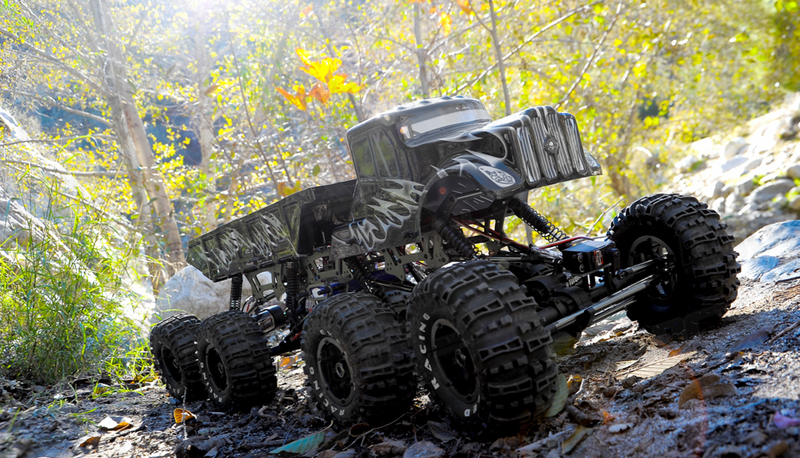 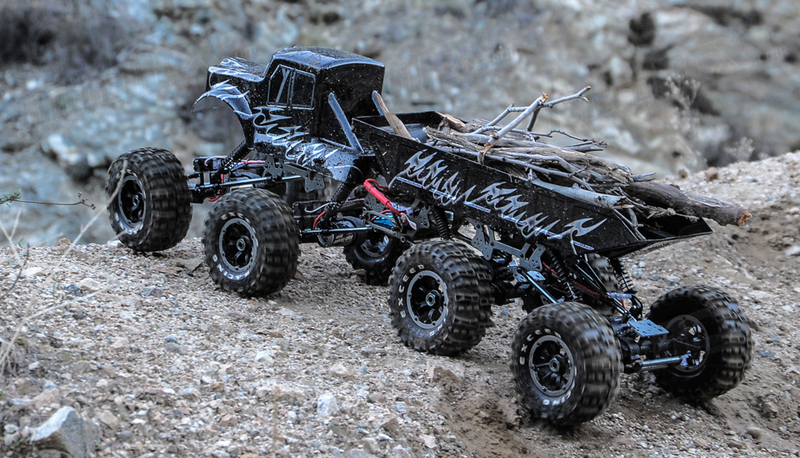 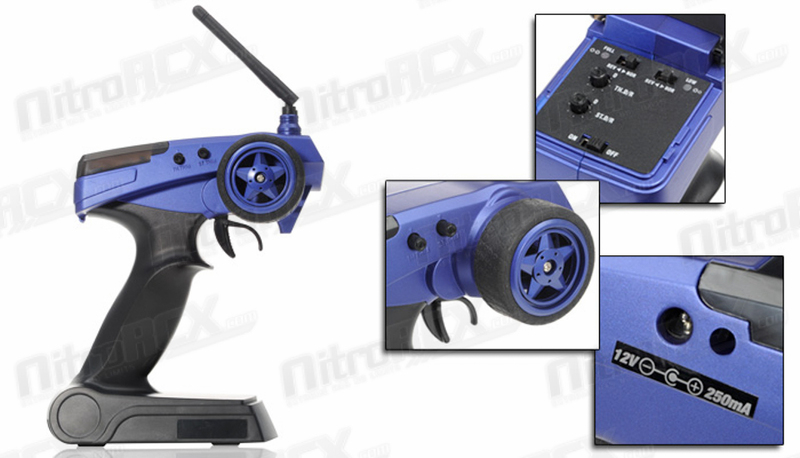 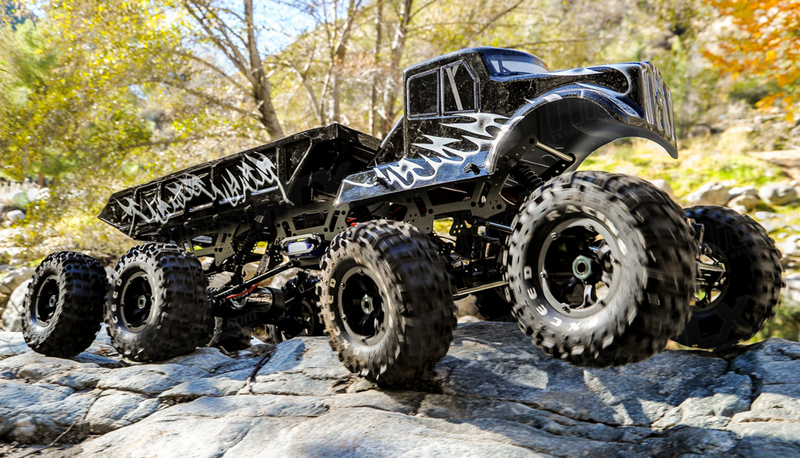 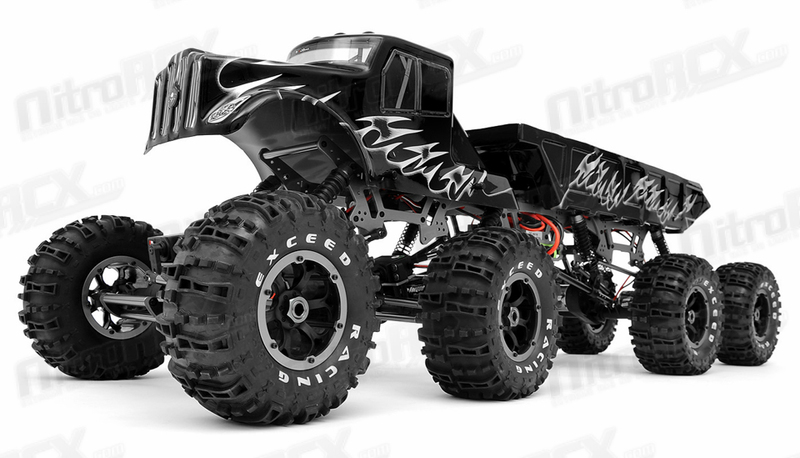 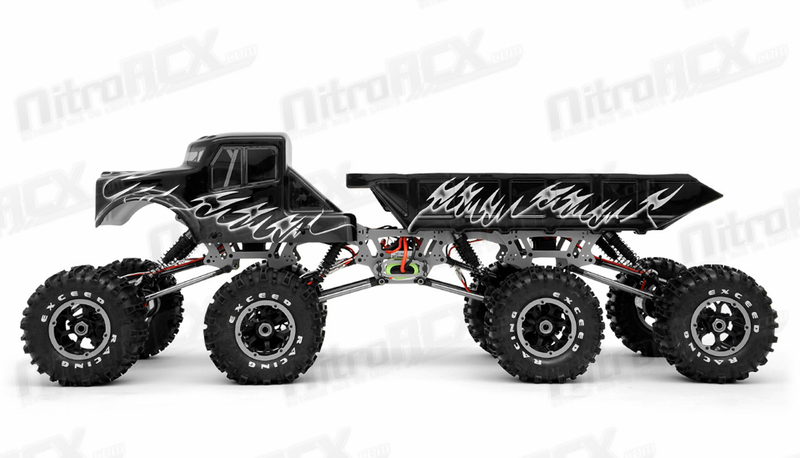 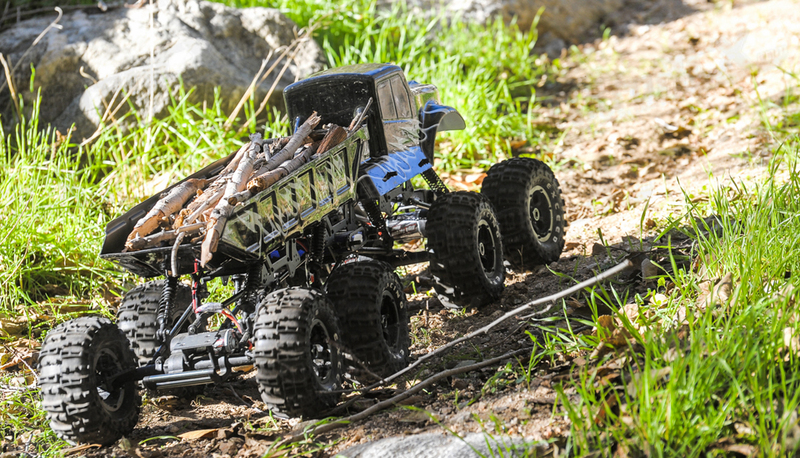 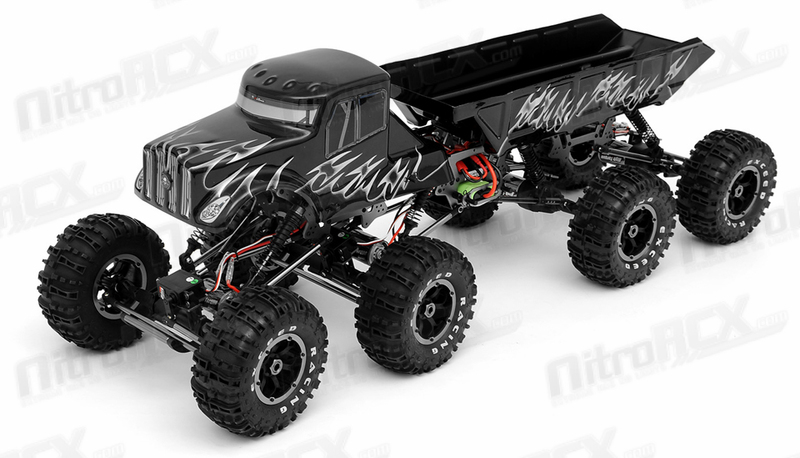 The Mad Torque series of RC Trucks veered off normal and arrived at extreme. 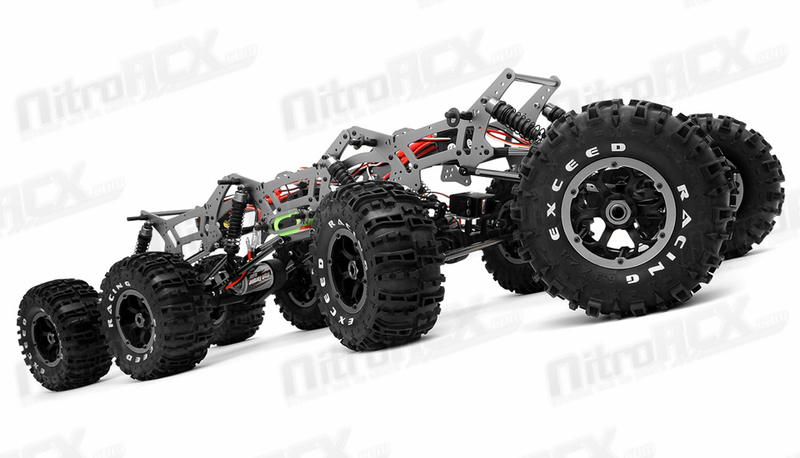 The new Mad Torque 8x8 is what they have created. 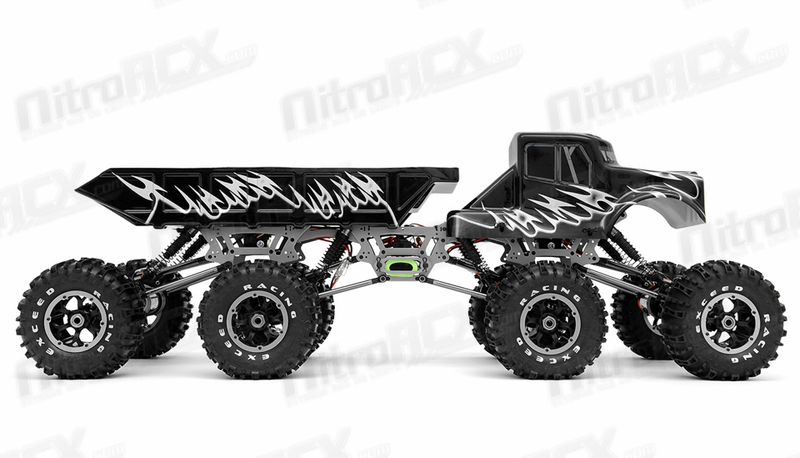 This new Mad Torque is a ready to run 8x8 Crawler complete with multi link suspension, 4 solid axles, aluminum chassis, oil filled shocks, and locked differentials. 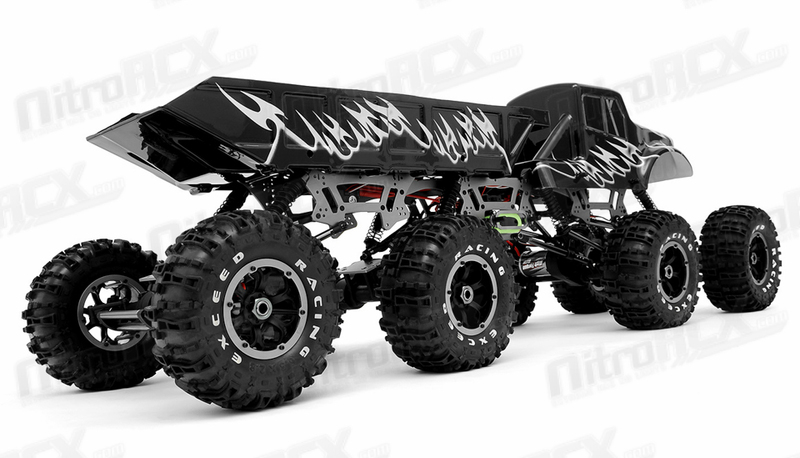 Semi truck front cab with a dump truck rear end ensure the trucks ability to haul large payloads. 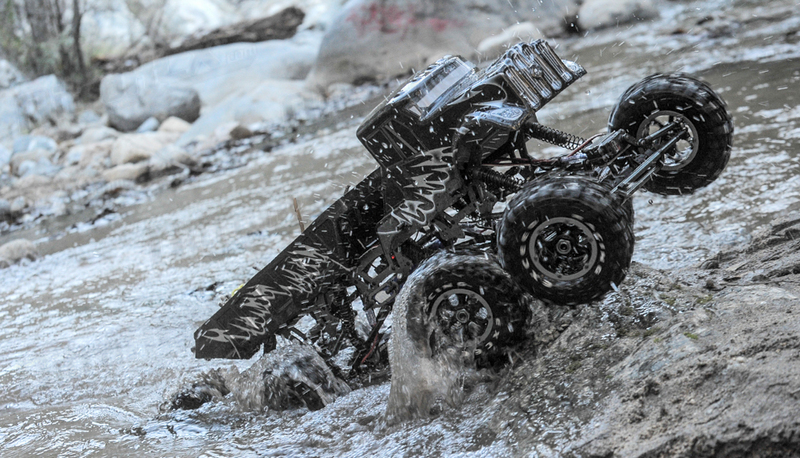 ?Designed specifically for the tough demands of traversing gravel, sand, asphalt, snow, wood chips or rocks. 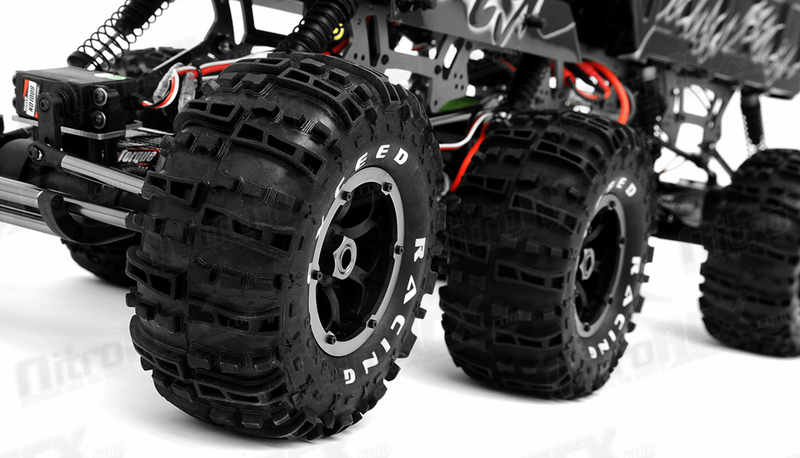 Created for the customer who demands more wheels and power to the ground. 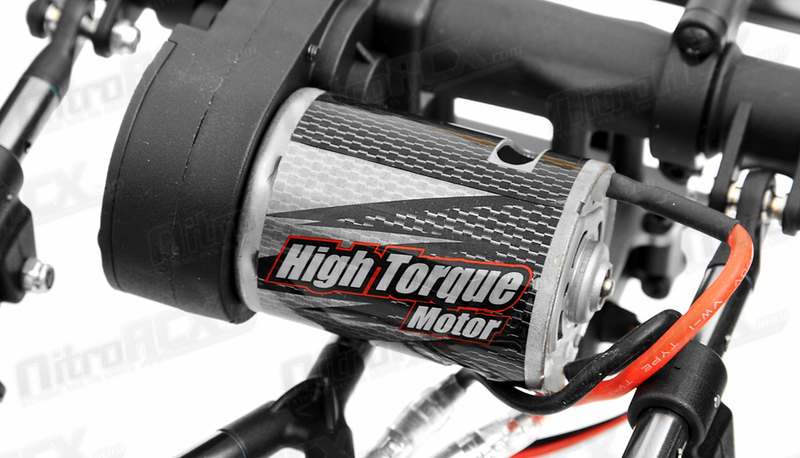 The power system consists of twin brushed electronic speed controllers providing power to the four high torque 540 motors. 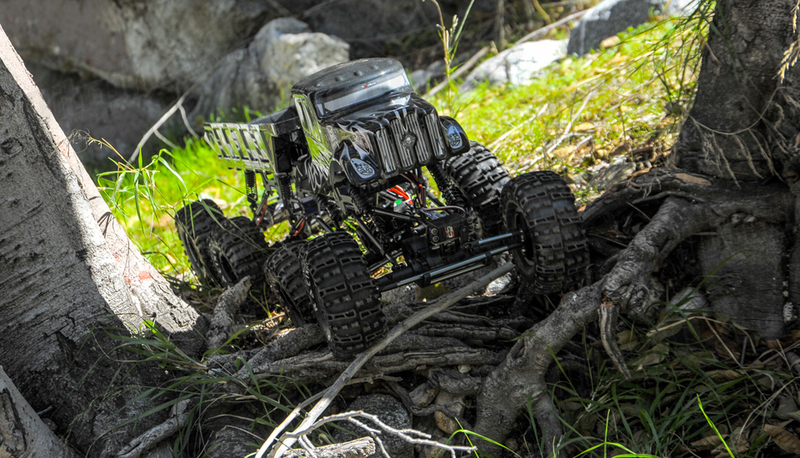 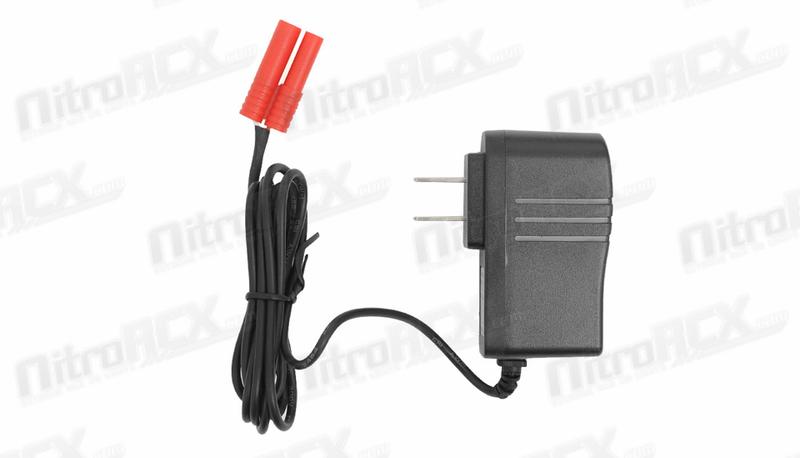 A 7.2v 3300mah Ni-MH Battery delivers about 10 minutes of crawl time. 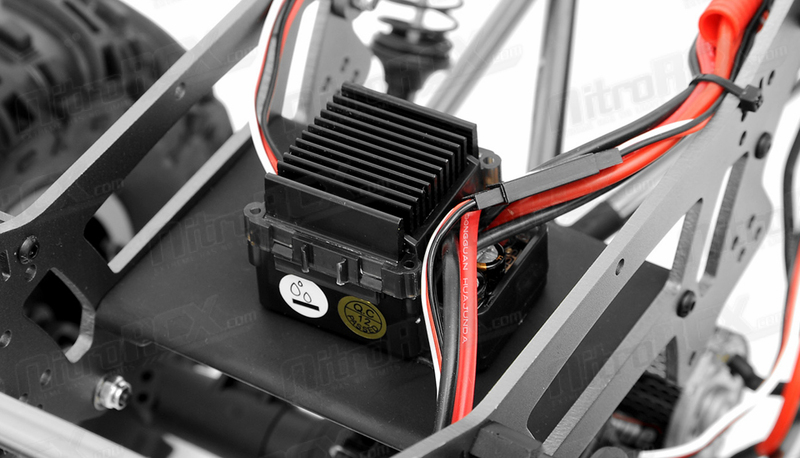 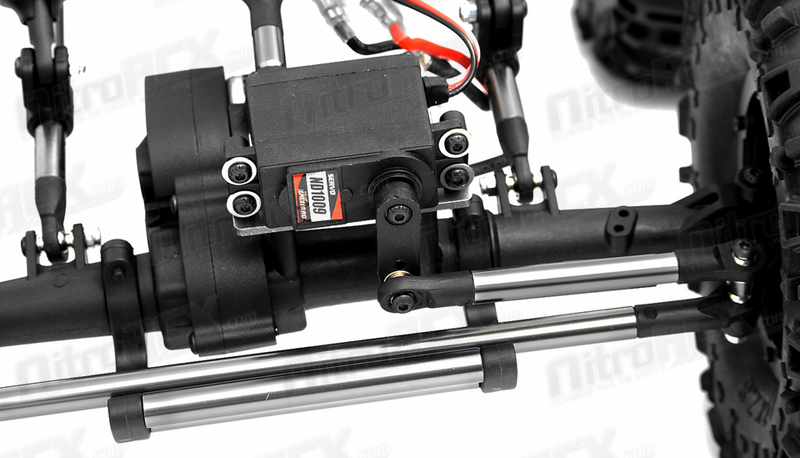 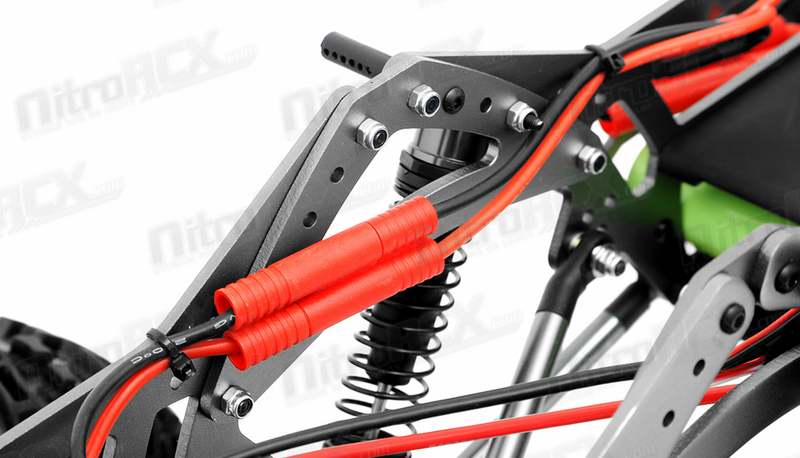 Twin 9kg digital metal geared steering servos steer this beast in the direction you tell it to via an Exceed RC 2.4ghz radio system. 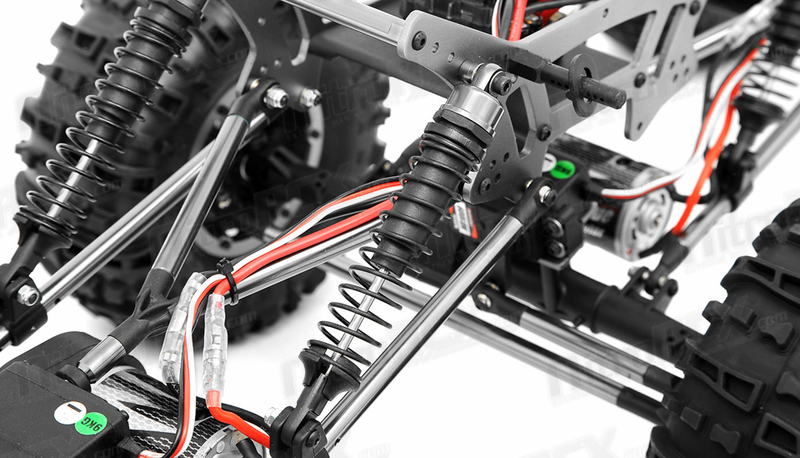 This system ensures interference free transmission to connect human to machine. 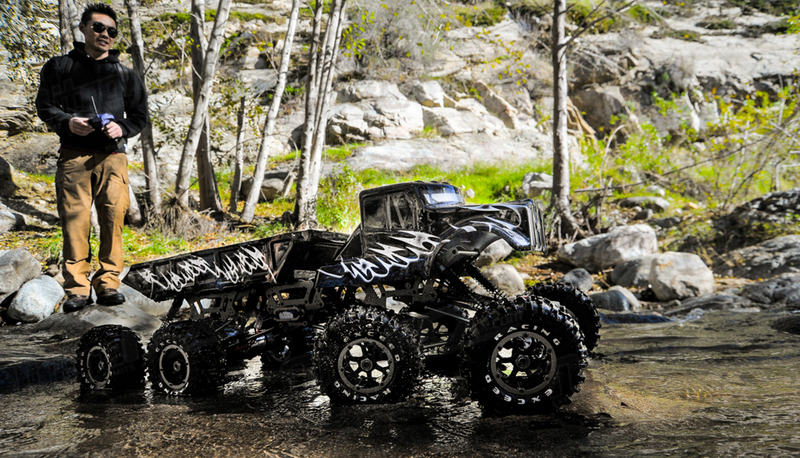 True bead lock rock crawling wheels clamp onto aggressive rugged all terrain tires ensuring traction and grip in all types of terrain. 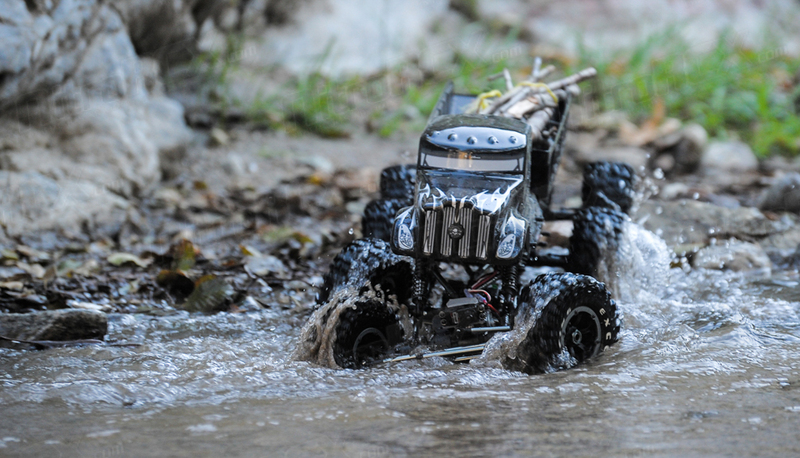 The Mad Torque 8x8 is ready for any adventure. 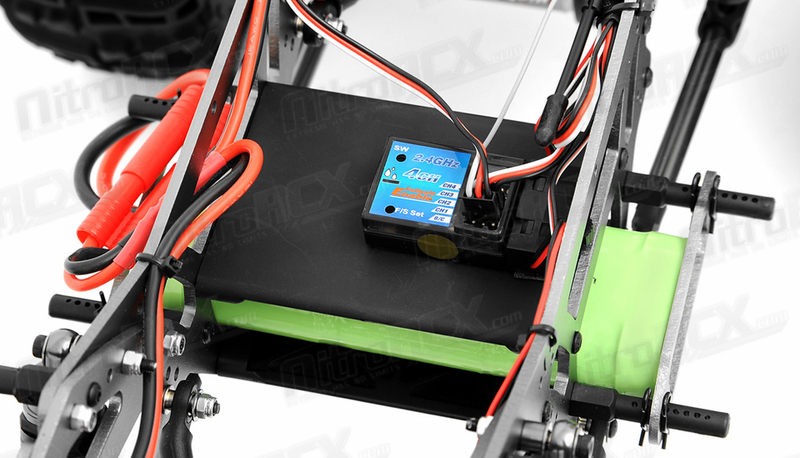 4 AA batteries required for the transmitter (Not Included).